TUCSON, AZ – The Tucson Roadrunners, proud American Hockey League affiliate of the Arizona Coyotes, announced today that the club has recalled forward Artur Tyanulin from the Fort Wayne Komets of the ECHL and signed forward Grant Besse to a professional tryout. The 20-year-old Tyanulin has registered 9-13-22 and 12 penalty minutes (PIM) with the Komets this season. The 5-foot-10, 174 lbs. native of Kazan, Russia has played in three games with the Roadrunners this season. 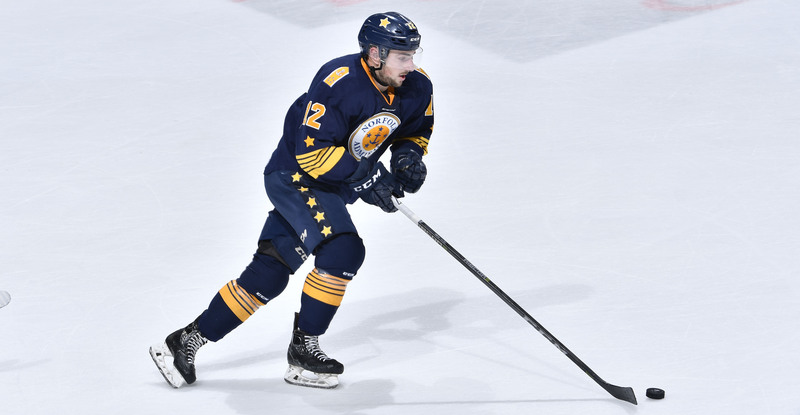 Besse, 23, has recorded 13-14-27 and six penalty minutes (PIM) with the Norfolk Admirals of the ECHL this season. Selected by the Anaheim Ducks (5th Round - #147 overall) in the 2013 draft, the forward stands at 5-foot-10, 174 lbs. and hails from Plymouth, MN. Tickets for all 18 remaining Roadrunners home games, including Paul Bissonnette's appearance at Tucson Arena on January 5, are on sale now and can be purchased by clicking HERE or visiting the Tucson Convention Center box office. For more information on the club, call 866-774-6253.